We’re excited to offer a wide range of food vendors at Waverly Heritage Days! A list of vendors with a brief description is listed on this page. Waverly Heritage Days welcomes you! 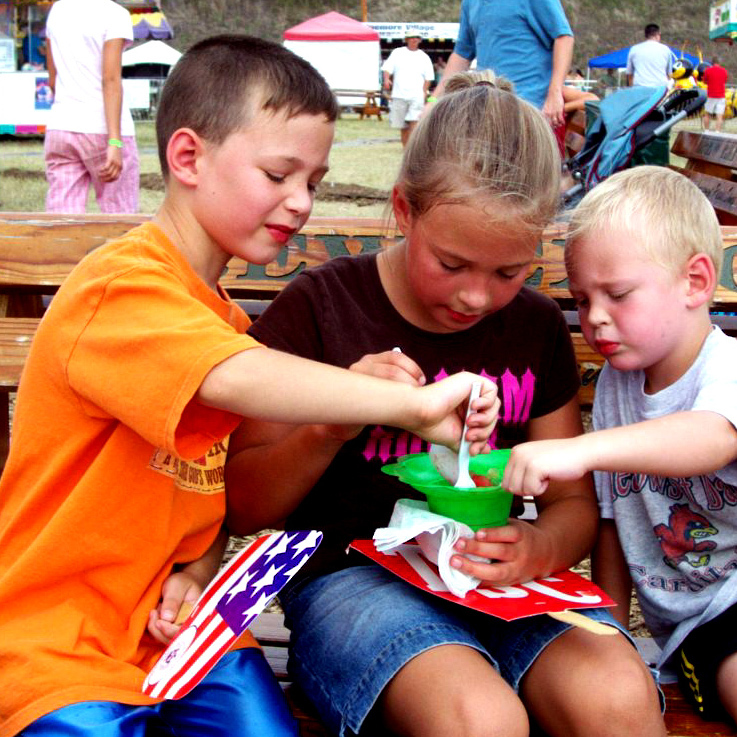 We’re hoping you will have a drink with friends or visit a food vendor and enjoy yourself at Waverly Heritage Days. To make your visit to Waverly Heritage Days even more enjoyable, we’ve added a full day of entertainment on Saturday, July 21, 2018 with Slemmons Run, Floyd Junker & The Beaver Creek Band, Pork Tornadoes, and Brad Morgan! We will also have many family friendly activities from the Kids Zone to Family Bingo. Please support Waverly Heritage Days so we can continue to offer FREE entertainment! Find some food and drinks and make an afternoon or evening of it! ENJOY YOURSELVES! Each year the Waverly Heritage Days committee strives to attract a variety of food vendors to make your visit to Waverly Heritage Days even more pleasurable. We feel we have the “best of” local food vendors each year and there is something for everyone to enjoy. Please support our food vendors by having a meal, snack or soft drink in one of our tents while you spend time with us at Waverly Heritage Days! Bon appetit! A variety of flavors- Plain, Caramel, Sea Salt Caramel, Cheese, Movie Theater Butter, White Cheddar, Parmesan Garlic, Dill Pickle, Hot Wings, and many more! IT IS THE LAW: BRINGING ANY LIQUOR, BEER OR WINE, ONTO THESE LICENSED PREMISES IS STRICTLY PROHIBITED BETWEEN MIDNIGHT THURSDAY THROUGH MIDNIGHT SATURDAY OF WAVERLY HERITAGE DAYS WEEKEND. YOU MUST BE 21 YEARS OF AGE AND HAVE A VALID DRIVER’S LICENSE IN YOUR POSSESSION IN ORDER TO OBTAIN A WRISTBAND TO PURCHASE BEER.